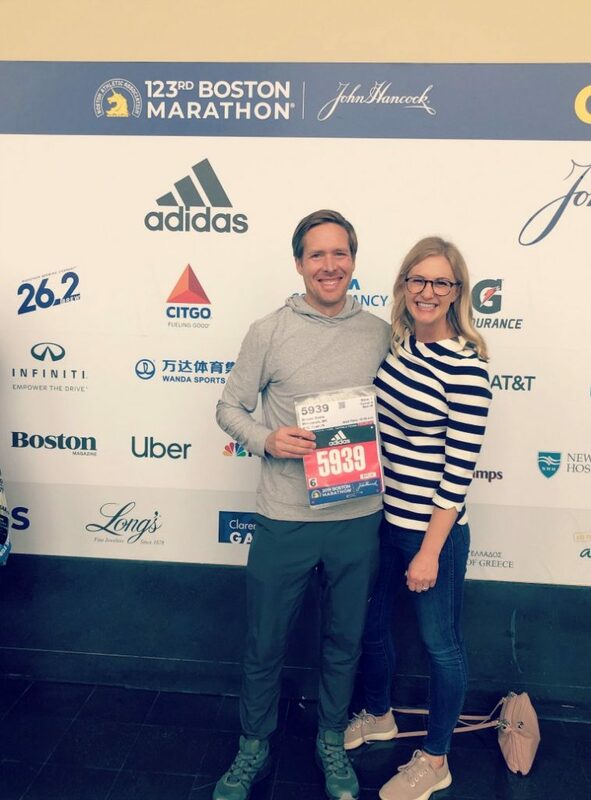 I’m in Boston right now, getting ready to cheer for Dustin at the marathon tomorrow. It’s shaping up to be a much better day weather-wise than last year! It’s so fun to be here without the nerves and the stress of racing tomorrow. 🙂 I had my fair share of that in 2017! But seriously, I don’t think I have ever travelled only to spectate/cheer and I think it’s going to be a lot of fun! 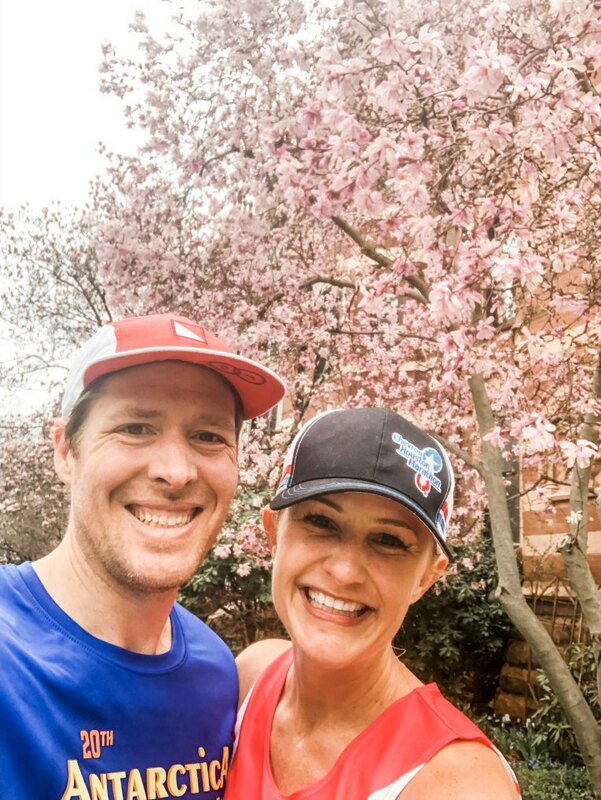 I shared what’s next for me in running in last week’s recap, which is pacing My sister Erin at the Brookings, South Dakota marathon on May 11. Here’s how training went this past week! Monday: 7 miles with Christie before work with some strides. Solidcore after work. I hadn’t been to a class in a little while, but I actually met the founder, Anne Malum, on our Antarctica trip. She is such an inspiring entrepreneur, as well as a strong runner, so I was motivated to get back to that studio again. And the class was as great as I remember! Tuesday: I ran after work with Dustin: 2 mile warm-up, 3×5 min@ 7:30ish with 2 min easy jog in between, 2 mile cool-down. I have a lot of work to do to get some speed back! This felt harder than I had hoped. Wednesday: 7.1 miles with my friend Vicki before work 8:55 min/mile average. 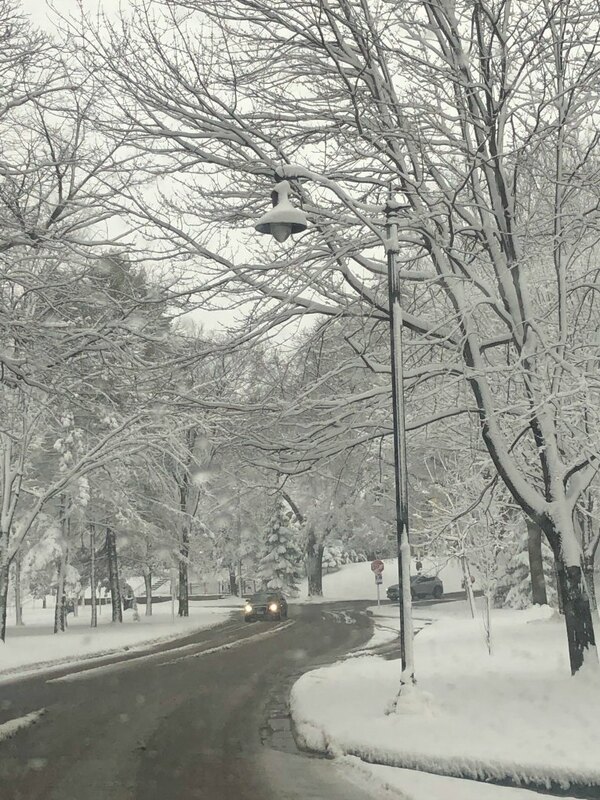 I’m so glad we got this run done in the morning, as Minneapolis went from 70 degrees and sunny early in the week to blizzard conditions by Wednesday evening. Not happy about that. Thursday: Well, thanks to the blizzard, I had to get back on the treadmill again. I had thought treadmill season was done for awhile! 6 miles with some 200m repeats mixed in there for some turnover work. 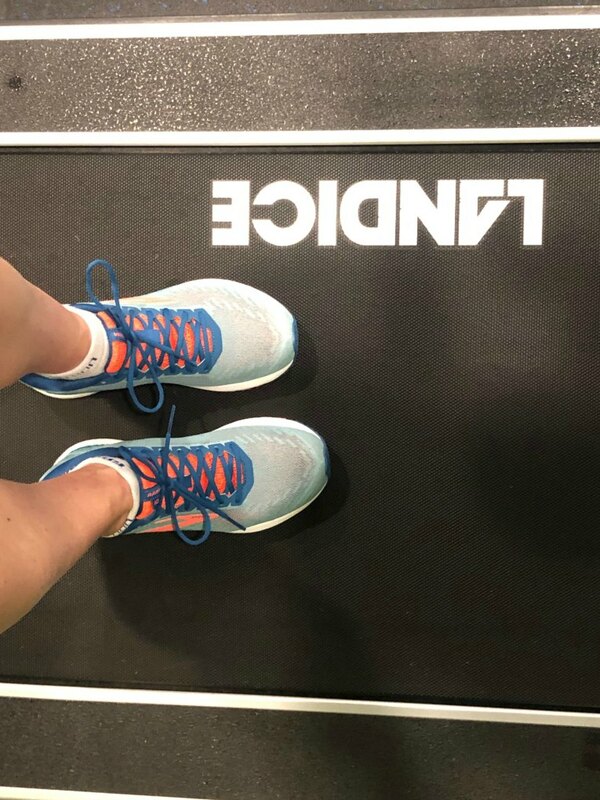 Friday: Another treadmill run, just a short 30 minutes easy before work. After work, we caught a flight to Boston. Saturday: We arrived pretty late on Friday, so we stayed at the airport Hilton to get more sleep. 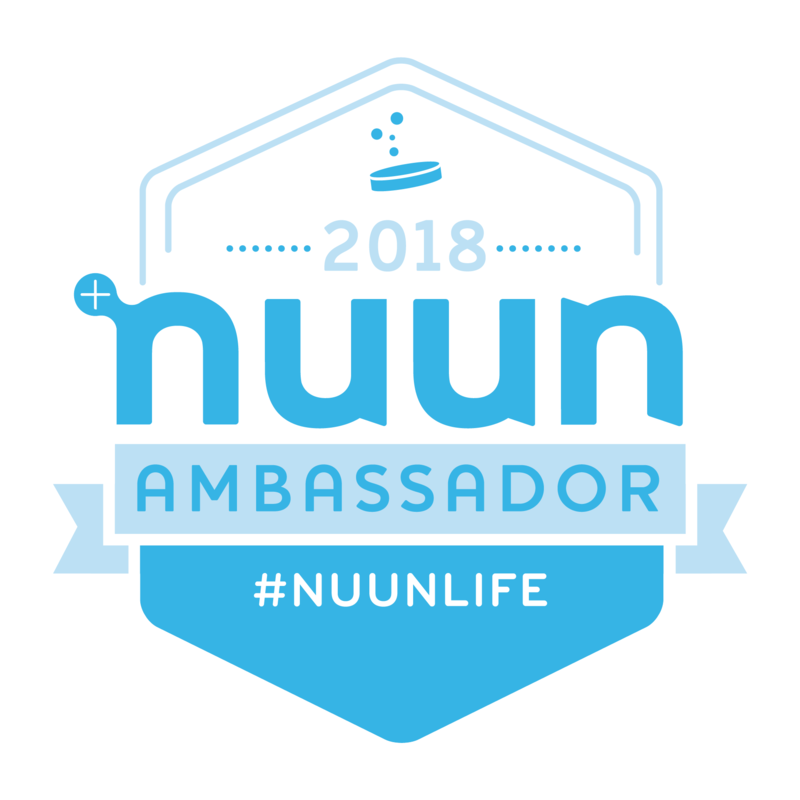 On Saturday morning, we caught an Uber to our hotel where we’d be for the rest of the stay, which was the Mandarin Oriental, right on Boylston, right by the finish line! Amazing location. Our room wasn’t ready yet, but they let us store our luggage and use the spa to shower after a quick run. We covered about 6 miles along the Charles River together. There was so much energy and excitement out there! So inspiring. After a run, we checked out the expo, which was a bit more disorganized than I remembered; we had to wait in line just to get in the expo for over an hour, and then another hour in line to purchase some gear. Insanity! Of all the World Majors, only the Berlin marathon’s expo had longer lines. 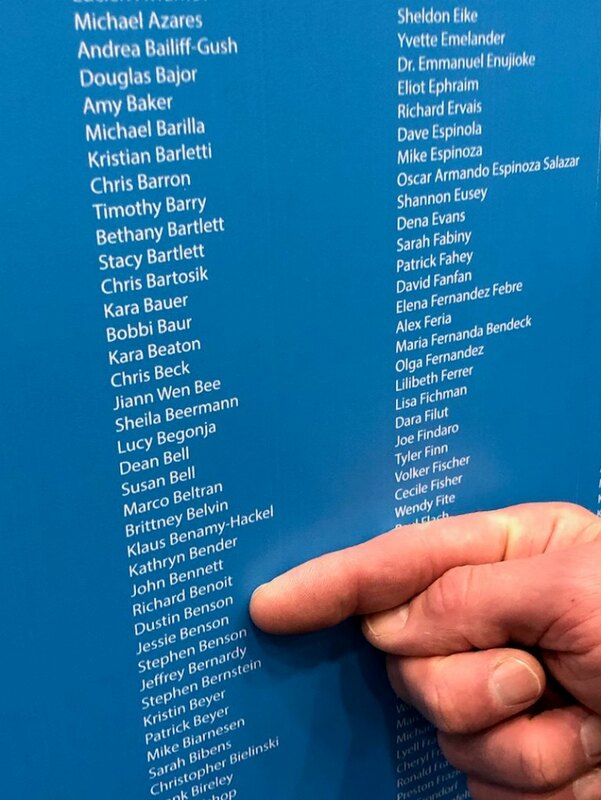 We did stop by the Abbott World Majors booth to see our names on the finishers list! After the expo, we grabbed lunch at Eataly and then wandered around, enjoying the nice day. Eventually we met up with a high school friend of Dustin’s who lives in Boston. (Dustin went to Tabor Academy outside of Boston for high school), and then had a delicious dinner at SRV. Sunday: Long run for me! I did a 15 mile tour of the Charles River, running past Harvard up to almost Watertown and then back along the river on the other side. The whole weekend was hotter and sunnier than I had expected. The forecast had called for 50/60’s and rainy but both weekend days were 70 and sunny! My, how the forecast can change quickly. I met up with Dustin at the end of my run, who was heading out for a short shake-out run. 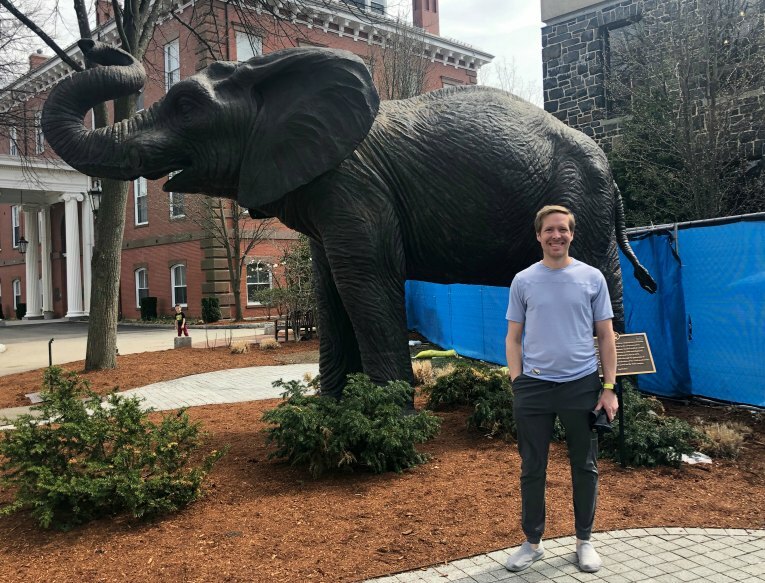 After the run, we went out to Somerville to visit Dustin’s alma mater, Tufts University. It was such a lovely day to visit the campus! 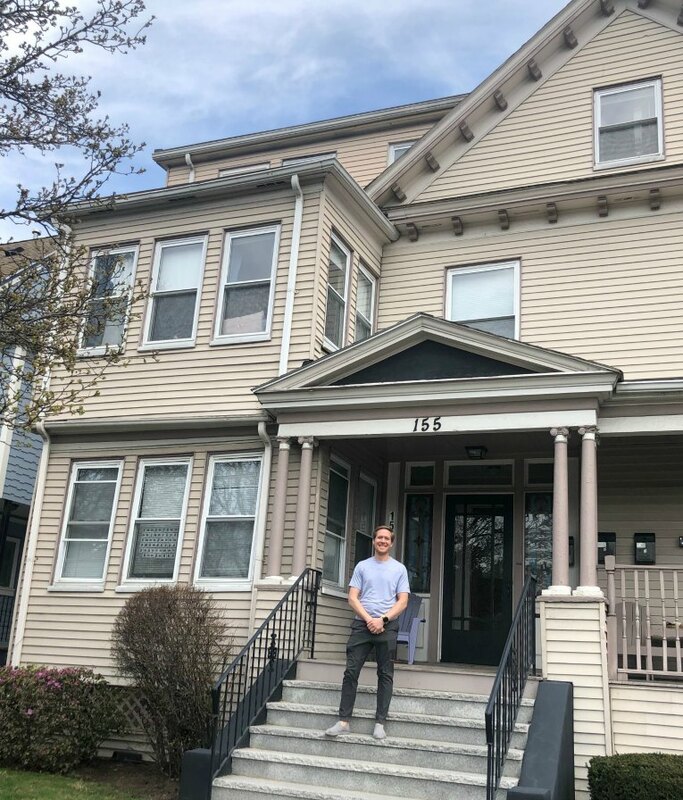 We even checked out the house he lived in while he was there. It was still in good shape! So who would win in a fight, Goldy the Gopher (my alma mater) or Jumbo the elephant? We also made a stop at the Lamplighter Brewery on our way back. 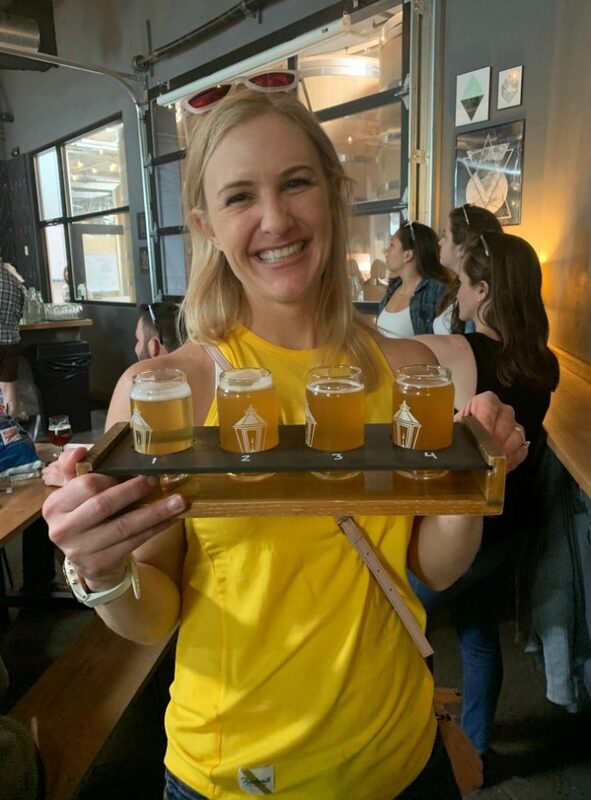 I had a great little sampler. 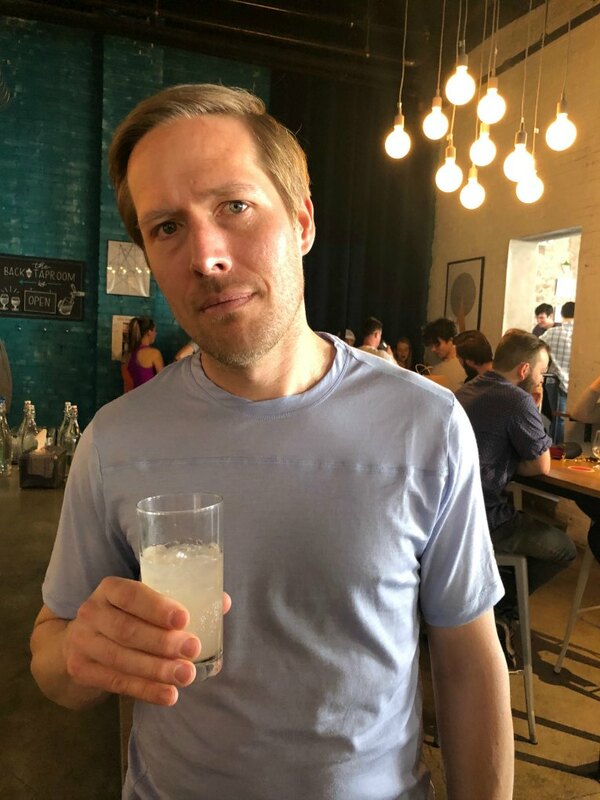 Dustin had to stick to a seasonal soda 🙂 No beers before the marathon! Summary: About 51 miles, 1 strength day (solidcore). Overall a decent week other than the darn blizzard. 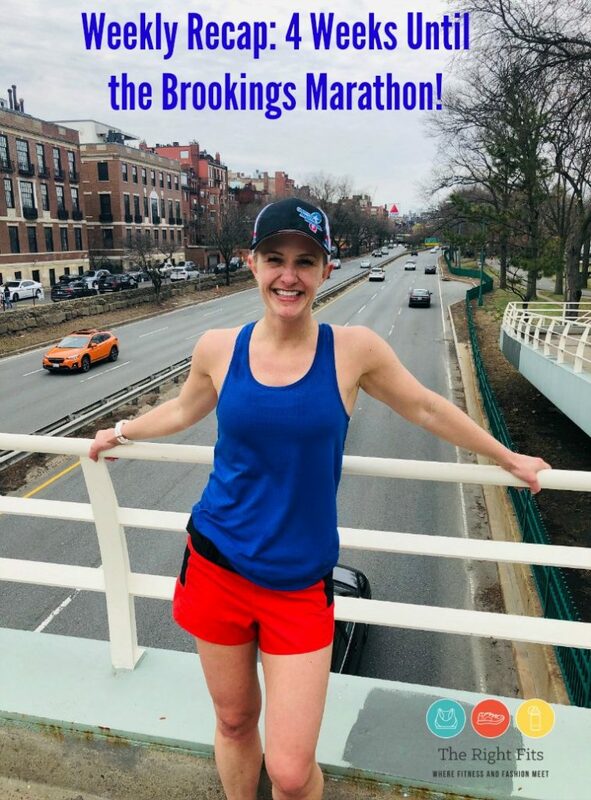 But I’m feeling all kinds of motivation from just being in Boston this weekend, which is getting me excited to run Brookings with my sister in just a few weeks! 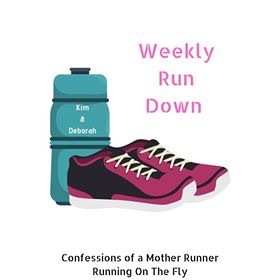 I’m linking up with Running on the Fly and Confessions of a Mother Runner as part of their Weekly Rundown. Check it out! « Weekly Recap: What’s Next? I cannot even begin to imagine all the excitement in Boston right now! Glad to hear the weather is looking much better for tomorrow! 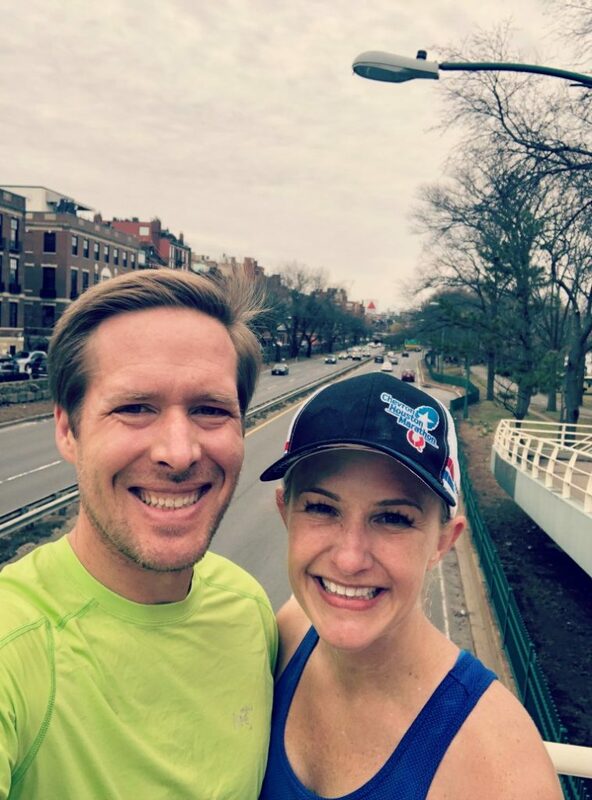 Best of luck to Dustin, is this his first time running Boston? We tried to plan it so that we’d finish the World Majors at the same time, which we did with NYC in 2017! How fun that you get to spectate! Squeee! Poor Dustin. Not even one sip of beer? Good luck to him and have a blast! I can’t wait to hear all about it. Thanks Wendy, I’ll pass along your well wishes! 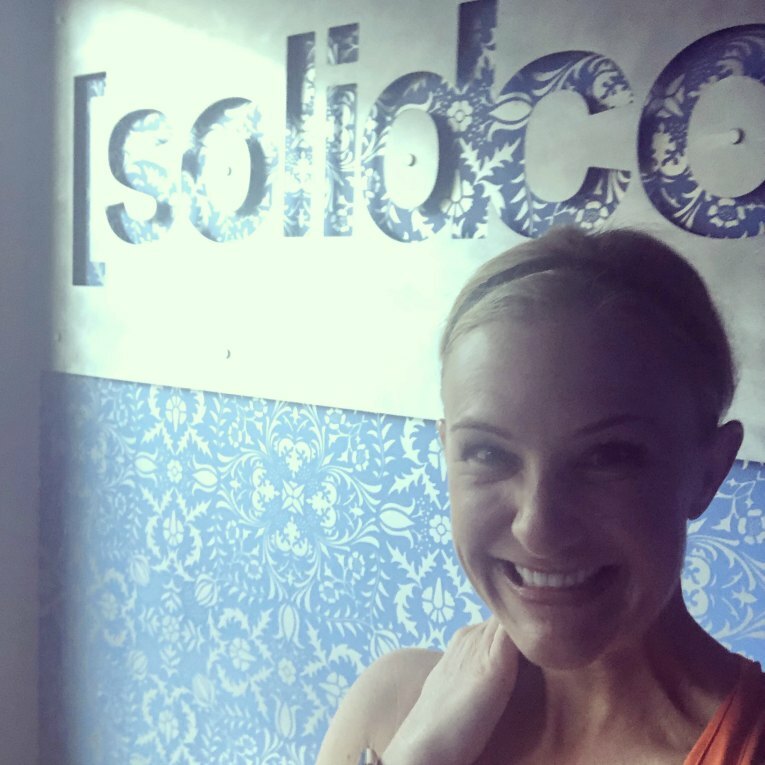 How fun to meet the solidcore founder! Have so much fun cheering on the runners tomorrow! I’d love to go back to Boston to spectate and really enjoy the city without the stress of racing. What a bummer the lines were so long at the expo. You are not kidding when you say Berlin was the worst. I barely spent any time at that expo because of the mobs. OMG we have that same crackpot blizzard weather in Chicago. Sick of it! Exactly, Berlin’s expo was NUTS! Too stressful..
Spectating is just as much fun as running the race…without the nerves! It’s hard not to be motivated when you’re around all that electricity! Exactly, I had a blast! 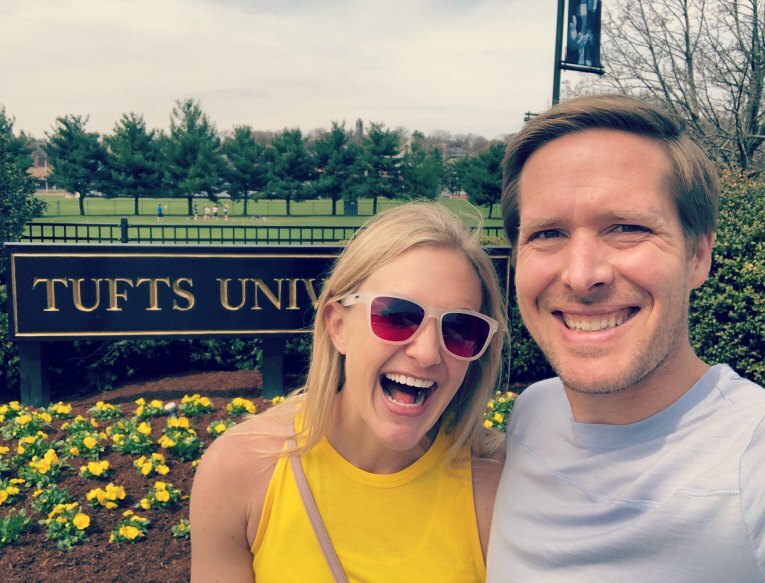 How fun that you are in Boston! I hope your husband has a great race today!! Oh, Jessie, have fun in Boston. I didn’t realize you and your hubby ran all the majors. What an accomplishment! I have a friend who is attempting that feat right now – she just has London to go. I did Berlin, Boston, and Chicago with her, but not Tokyo or NYC. You’re pretty close yourself with the Majors though- just a few more! It was a fun accomplishment with the 6 star medal and all! What a great time to be in Boston. So glad the weather is improving. It will be a motivating day for sure. Best of luck to Dustin! Nice solid week of workouts! I can;t believe that you had so much snow this week! Hopefully that’s the last snow that you’ll see until next Winter. Have a blast spectating and cheering in Boston today! It hopefully was the last snowstorm…fingers crossed! Eataly was the perfect place to eat pre-race. Dusseldorf! Amazing! Have a great time! Heat is definitely a challenge. Race day did end up being a bit too warm for him after training in Minneapolis! Love your pics and good luck to Dustin right now! Or he’ll be done by now, not sure when it starts. I am travelling to London to spectate the marathon again at the end of the month, however I do get to have a weekend with my bestie, too. Have a wonderful time in London Liz! Lamplighter was amazing! Thanks for all the great recommendations Kim! Weather was SO wonky- way warmer than expected too!